Make your available outdoor space more attractive and usable with versatile storage sheds from Pleasant View Structures. 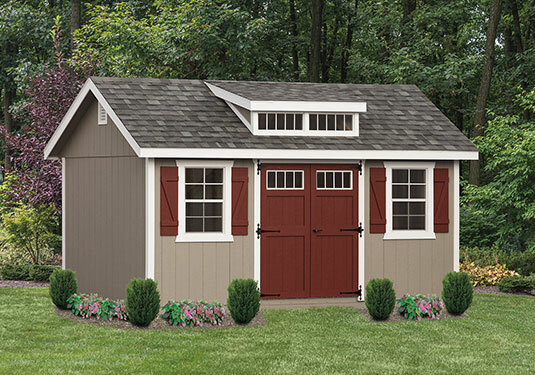 We offer a wide selection of top-quality storage sheds and utility barns available in an equally extensive range of colors, sizes, styles, and shapes. With materials, you can choose vinyl, board and batten, or Duratemp, a material with a strong plywood veneer inner core. There are just as many options with roof styles and design features. Even within each individual series, you'll find options that include everything from classic A-frames with fiberglass double doors or corner porches to rustic log styles. Are you limited on space? Check out our mini-barns! And if you have a lot available space you want to use more efficiently, consider one of our garages or larger A-frame sheds, some of which include skylights for added energy efficiency and access to natural light. 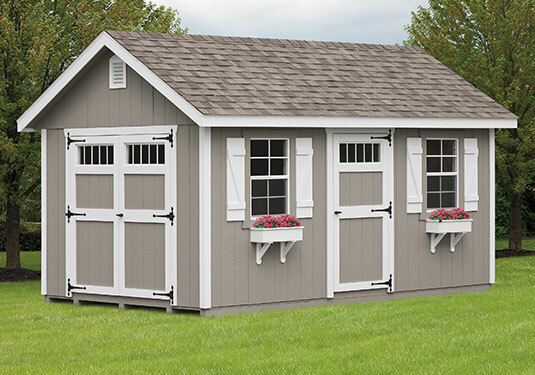 Any storage shed you order from Pleasant View Structures can be customized with decorative touches such as cupolas, shutters, or flower boxes and functional additions like extra windows, ramps, lofts and shelves for extra storage, and insulated floors. 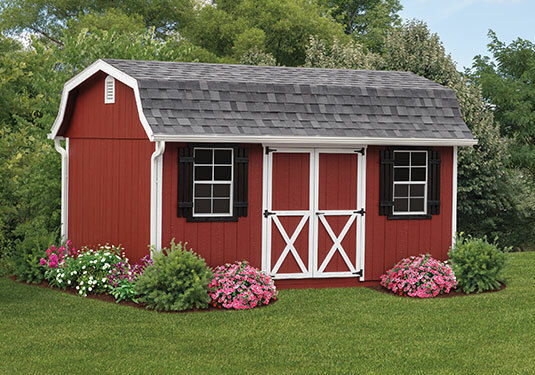 Contact Pleasant View Structures today to learn more about our storage sheds and get started with your own purchase.